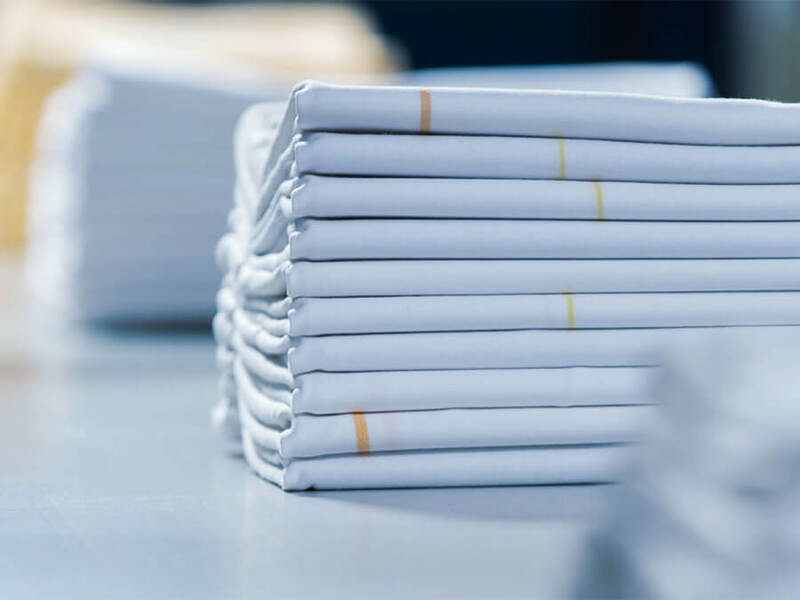 Continuous production thanks to reduced production stops by automatic removal of stacks after the ironer lines. Automatic strapping of each stack. Automatic data collection and invoicing by to the unique Track & Trace function. Easy and reliable overview by the unique Track & Trace of batches. Easy transfer of data for statistics. Safe communication with process equipment based on HTML, not requiring PC’s. Detailed management information thanks to transparent production statistics. Designed for easy exchange of drum motors and belts. Frames and legs in galvanized steel prepared for wiring and sensors. Wiring placed in frames covered with easy removable plastic shields.